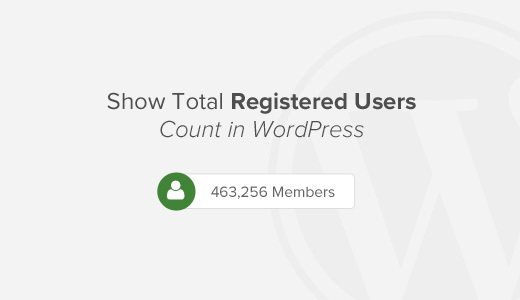 Have you ever wanted to show the total number of registered users on your WordPress site? Social proof like showing the number of registered users on your site, encourages others to register as well. In this article, we will show you how to show total number of registered users in WordPress. First thing you need to do is install and activate the Simple Blog Stats plugin. For more details, see our step by step guide on how to install a WordPress plugin. Upon activation, you need to visit Settings » Simple Blog Stats page to configure plugin settings. 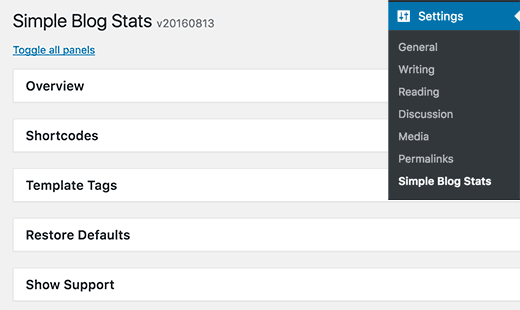 This plugin allows you to show different stats from your WordPress site. You need to click on the shortcodes tab to expand it and then scroll down to the ‘number of users’ row. You will see the shortcode [sbs_users] with two text fields on both sides. These text fields contain HTML the plugin will add before and after the number of users. If you are unsure, then just copy the shortcode [sbs_users] and click on the save settings button. You can now add this shortcode to any WordPress post or page. You can also add it to a sidebar widget. If the shortcode does not work in the widget, then follow instructions in our guide on how to use shortcodes in your WordPress sidebar widget. This method requires you to add code to your WordPress site. If you haven’t done this before, then see our beginner’s guide on pasting snippets from web into WordPress. You need to add the following code to your theme’s functions.php file or a site-specific plugin. This code creates shortcode [user_count] which you can use in your WordPress posts, pages, or a sidebar widget to display the user count. 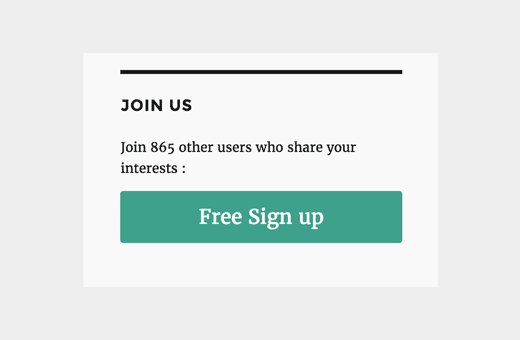 Note: We added a free signup button that redirected to a custom WordPress user registration page. 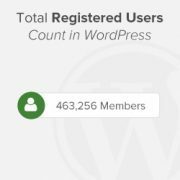 That’s all, we hope this article helped you learn how to show the total number of registered users in WordPress. You may also want to see our guide on how to moderate new user registrations in WordPress. Thanks for the manual code! Is there any way to display the user count from another WordPress site? I have a public facing website and private “app” that are two different installs and I want to show the app users on the public site. Thanks for this, the code works beautifully! Hey, thanks for this article, its right along the lines of what I am trying to accomplish. Is there a way to only display the subscribers as opposed to the total number of users? I have been scouring the wp codex site but to no avail. I have found a way to populate a list of subscribers but not jsut a total number of them. This would be extremely handy on the website I am building I would love to hear your insight. Thanks again. // Get the total number of users for the current query. I use (int) only for sanitize. Could it be that it does not work with certain themes? Get 25% OFF on WPeka premium WordPress plugins and themes.